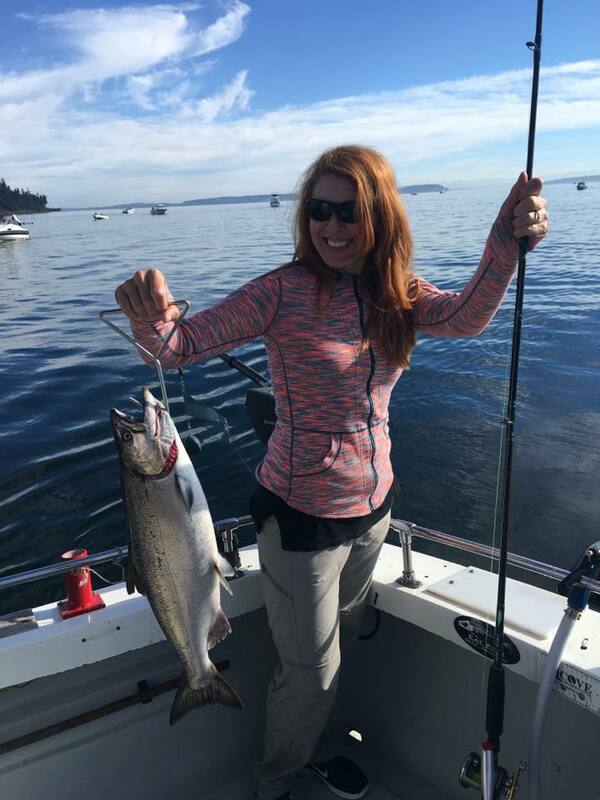 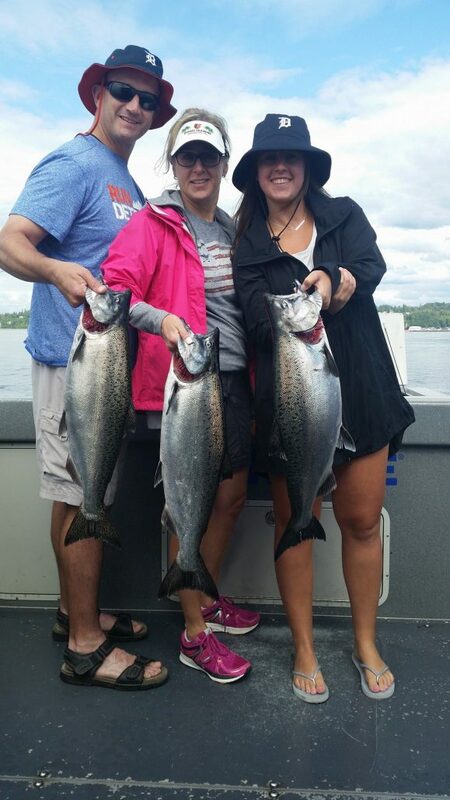 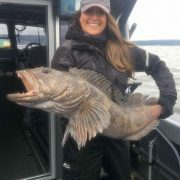 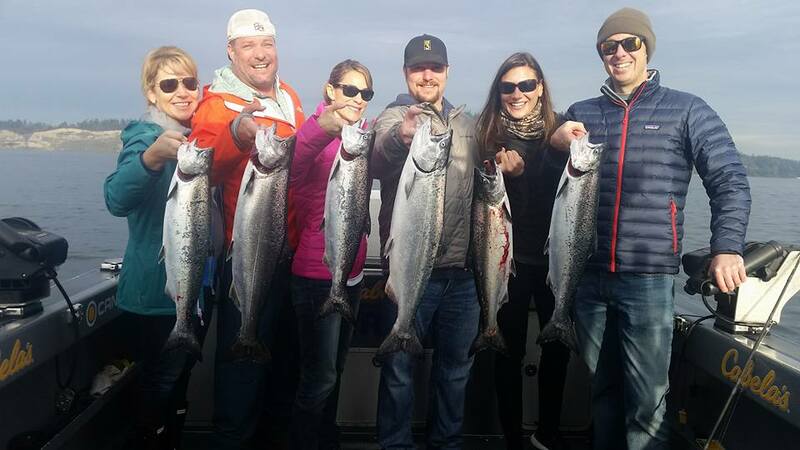 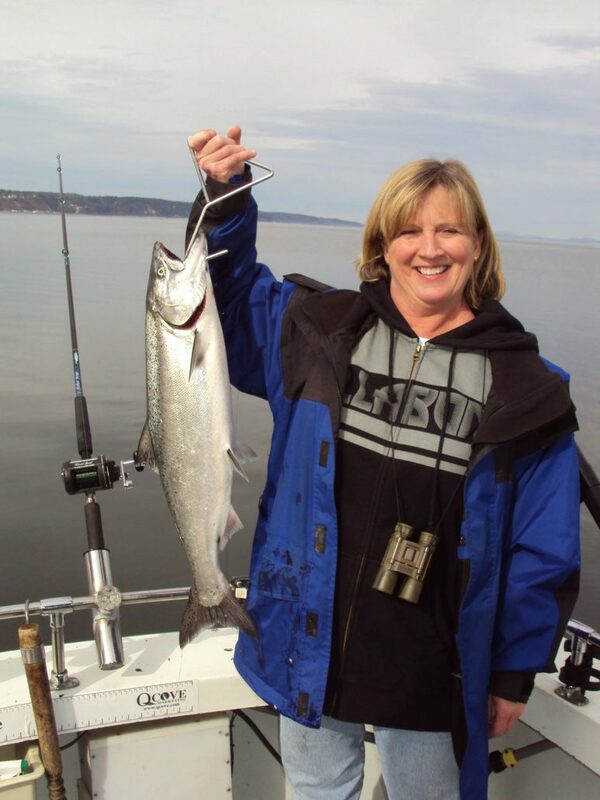 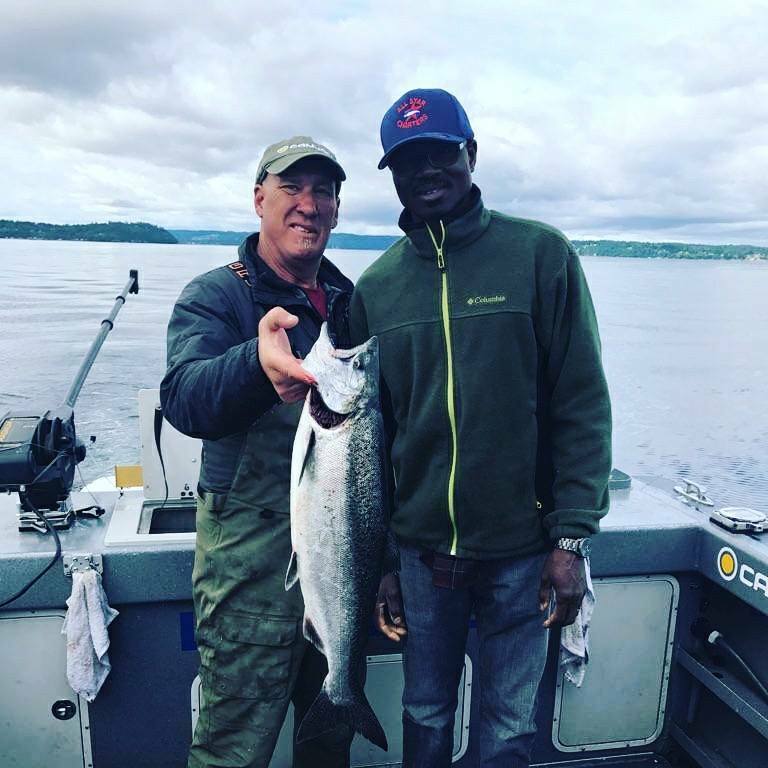 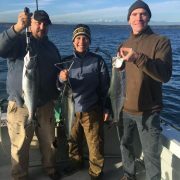 Trolling for Puget Sound King Salmon. 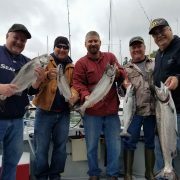 Best bites are Early Morning, Late Evening or shortly before or after a tide change. 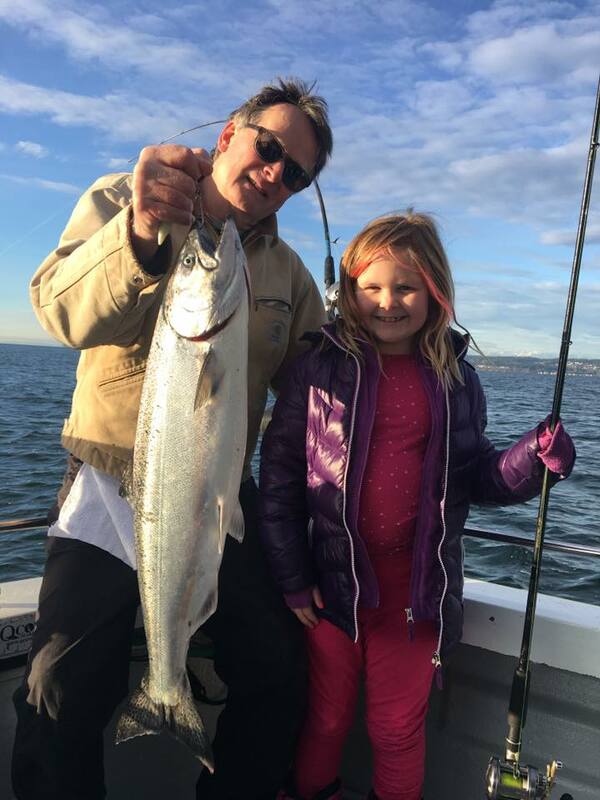 If you can fish when there is a tide change just after daylight or before dark that helps to increase your chances. 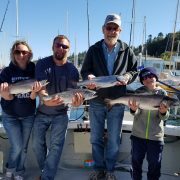 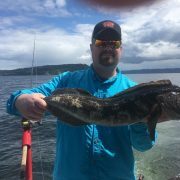 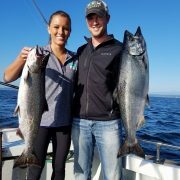 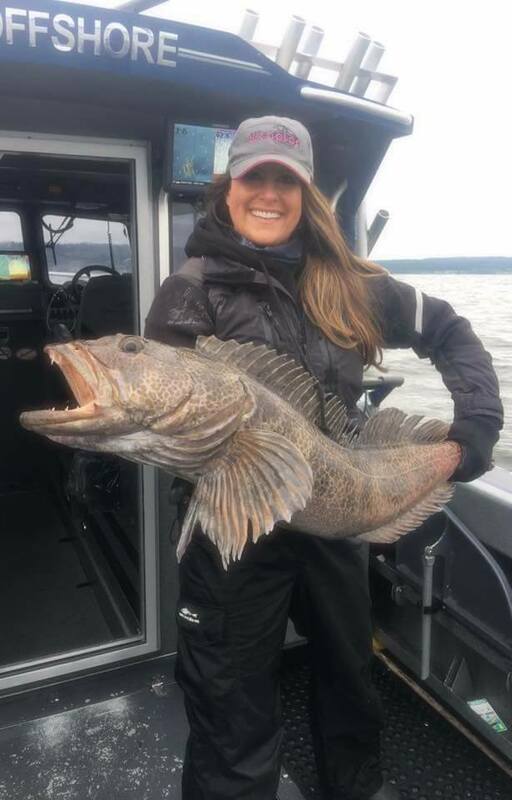 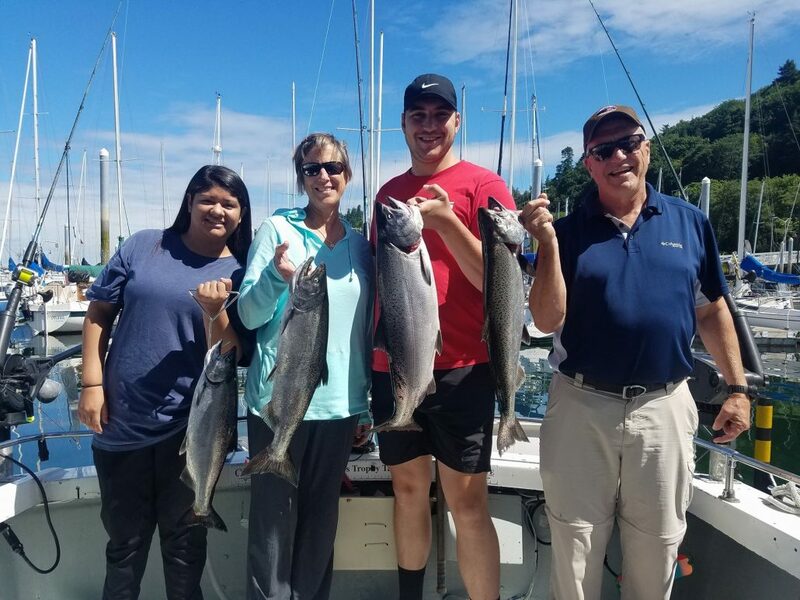 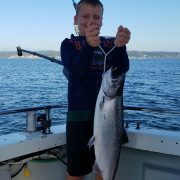 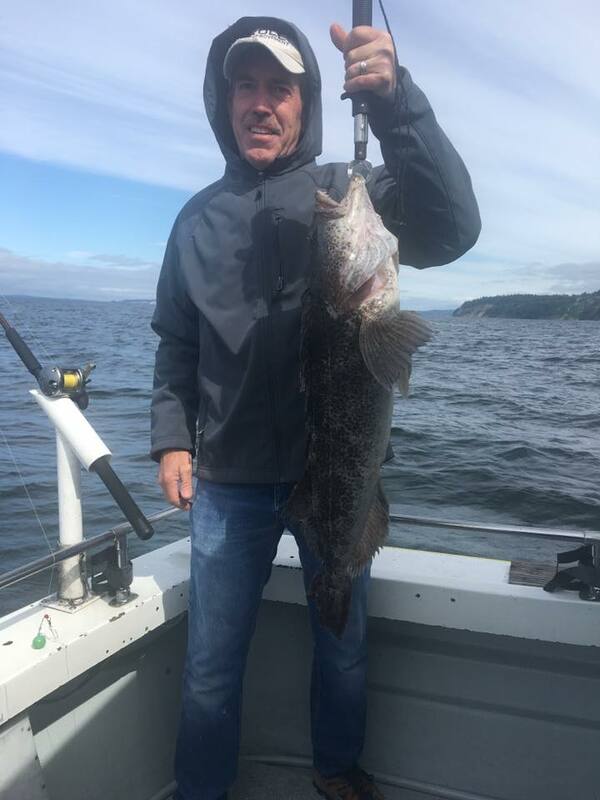 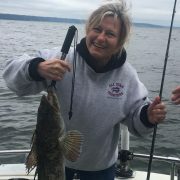 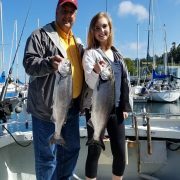 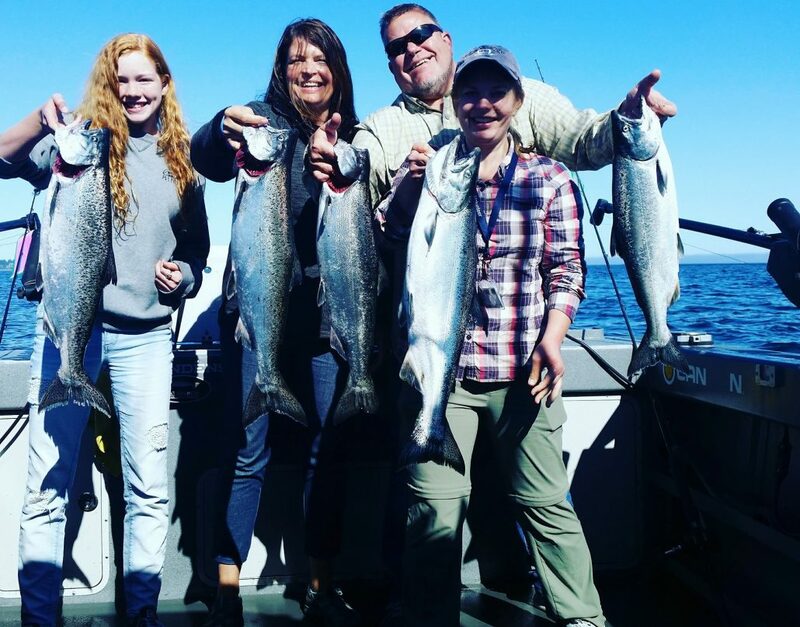 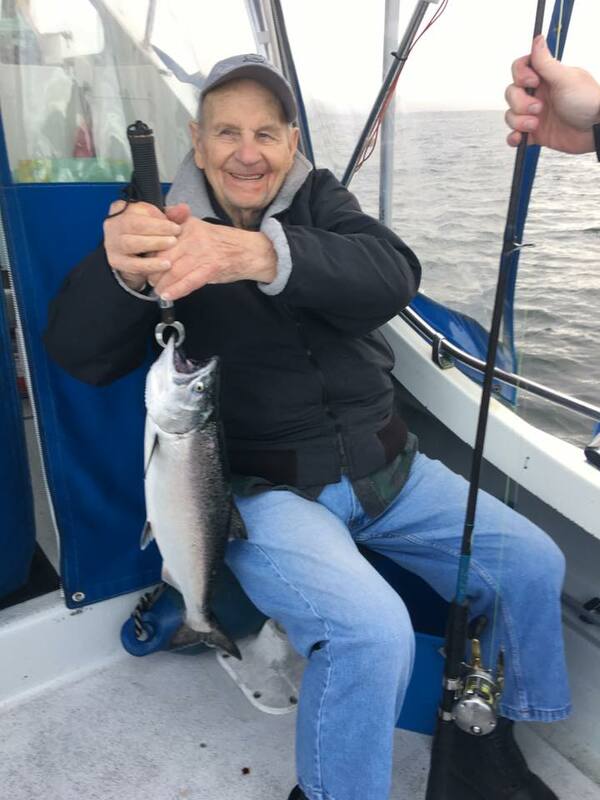 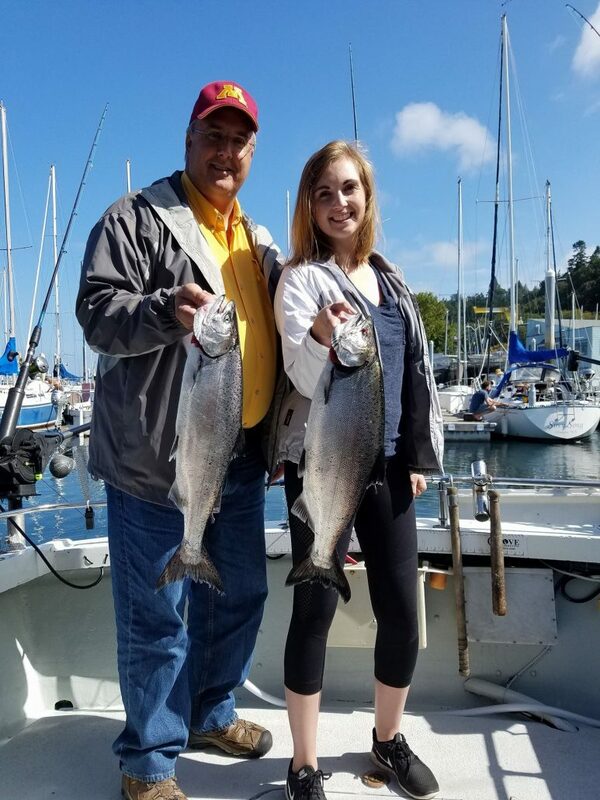 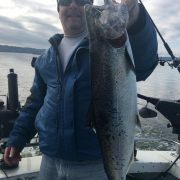 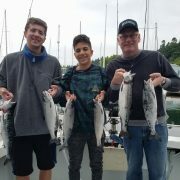 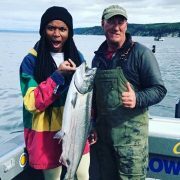 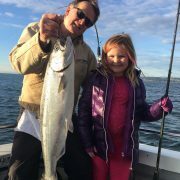 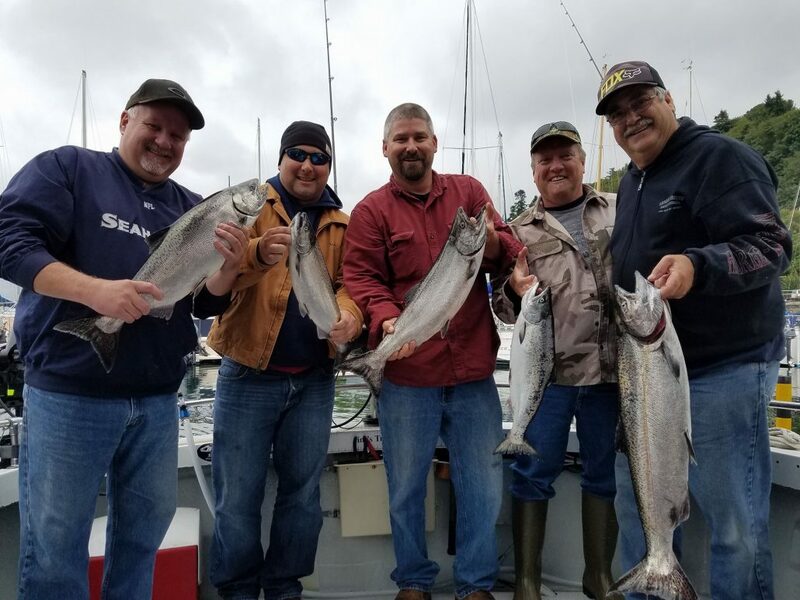 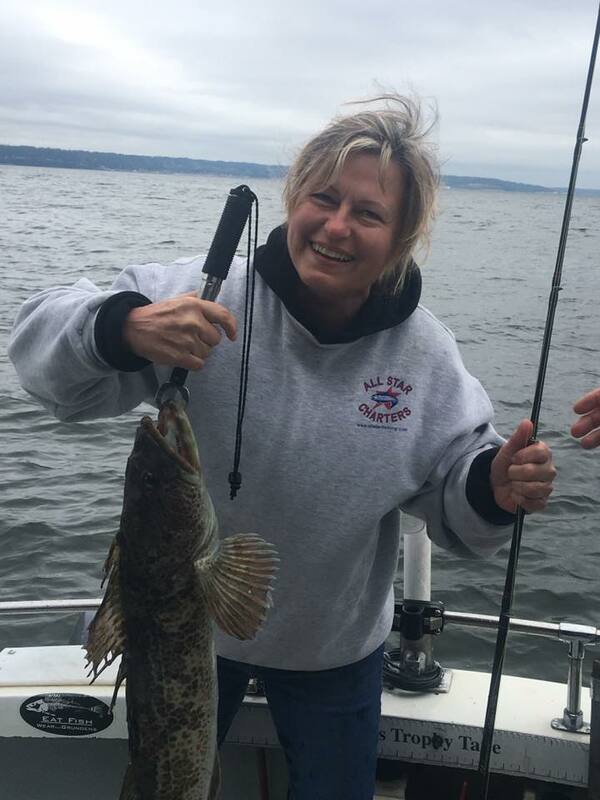 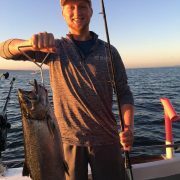 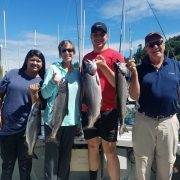 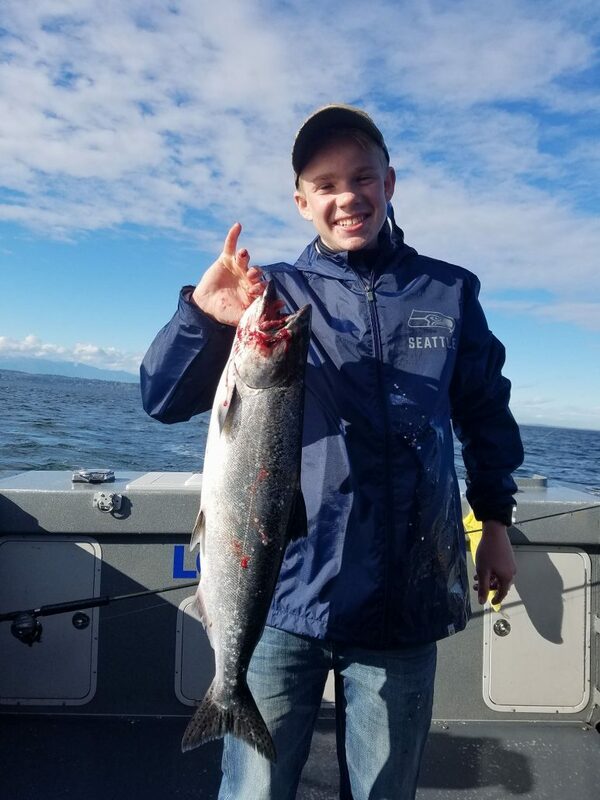 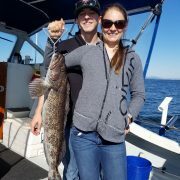 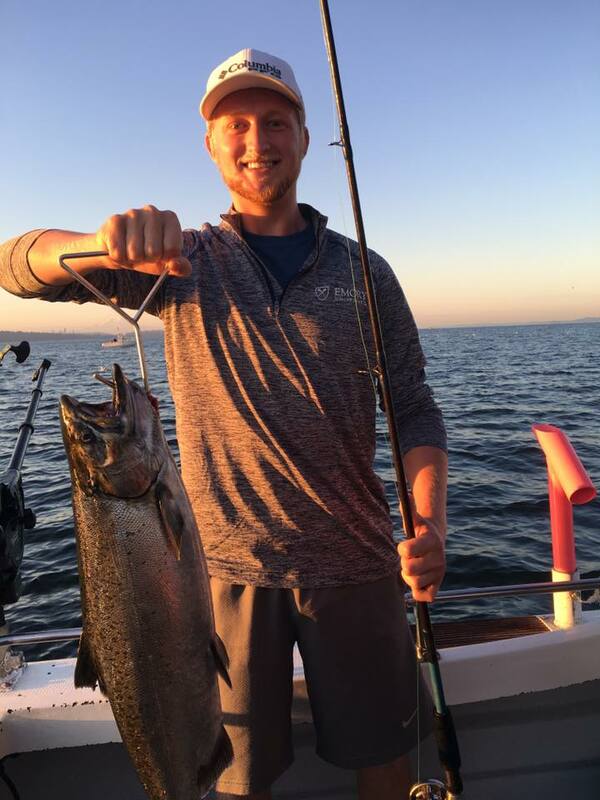 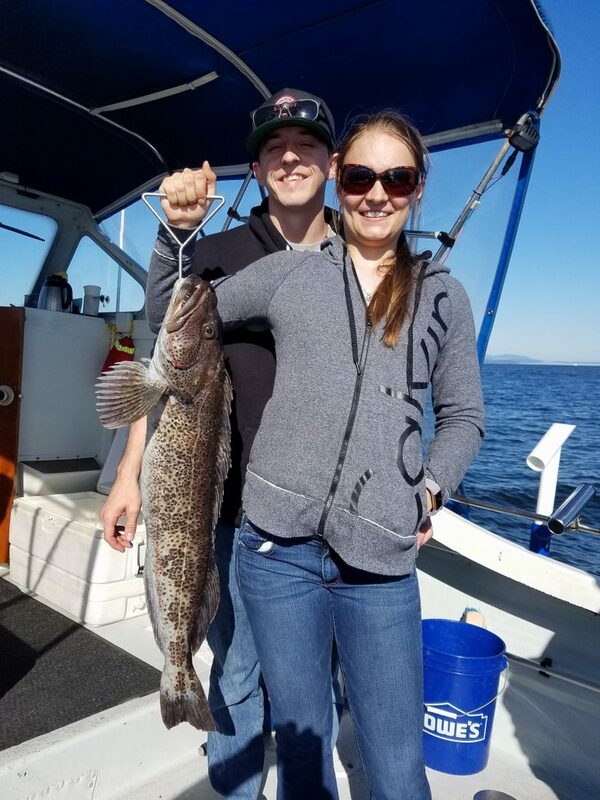 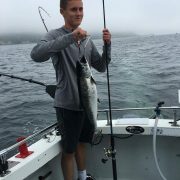 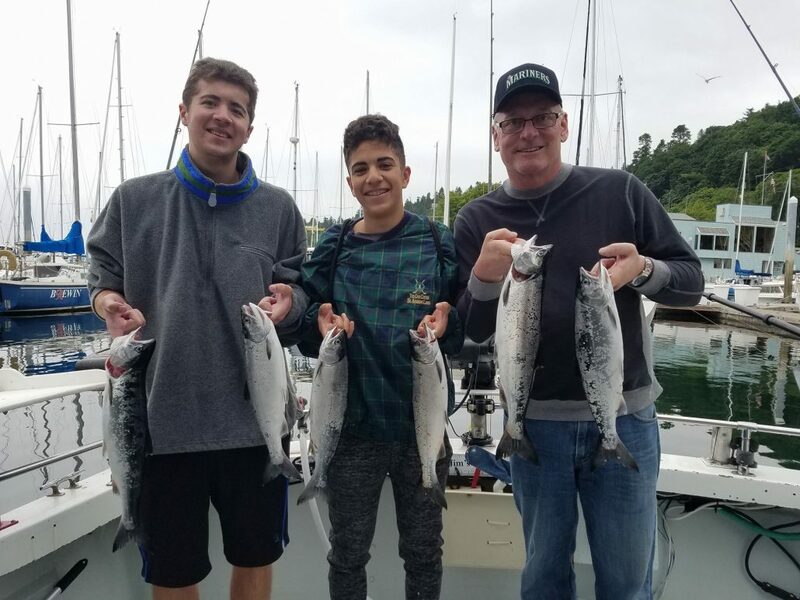 Most of inner Puget Sound fishes best for King Salmon when there is some current and not so well if there is no water movement. 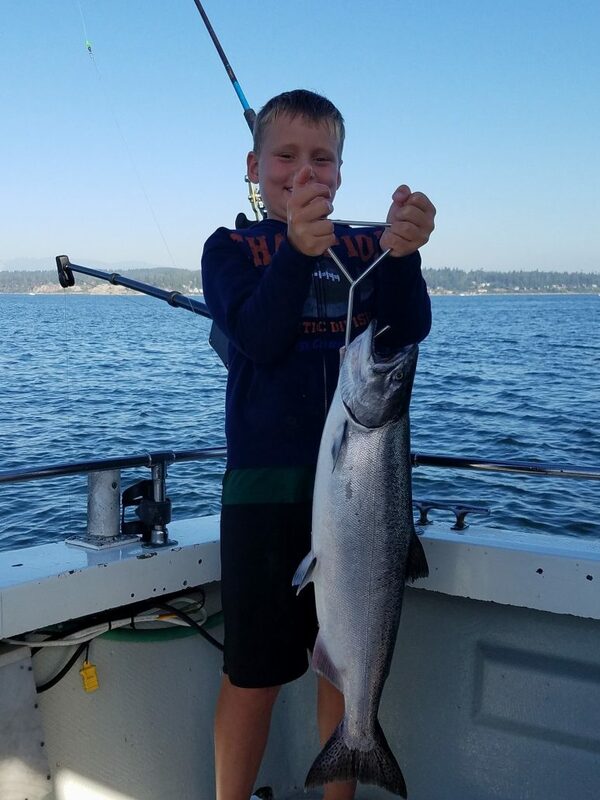 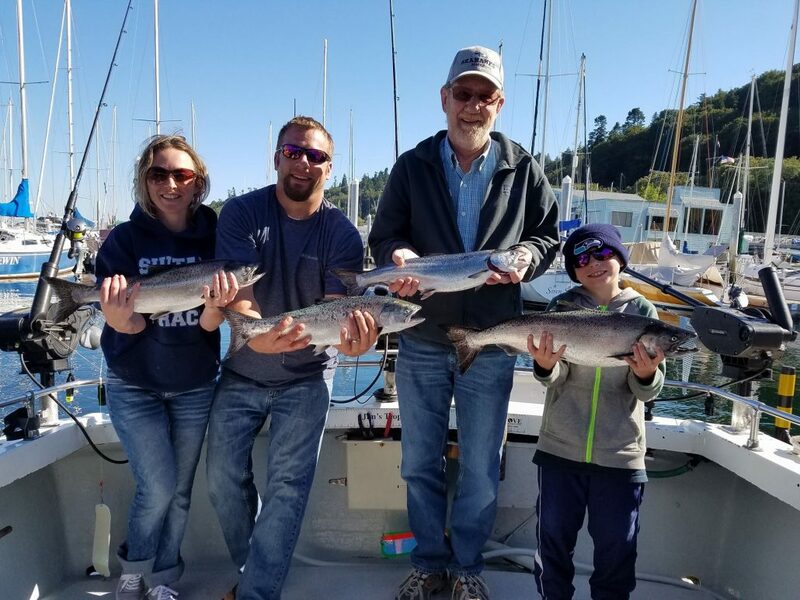 The Tides control the current and shortly before or after a good high or low tide is when the current works best for King Salmon bites. 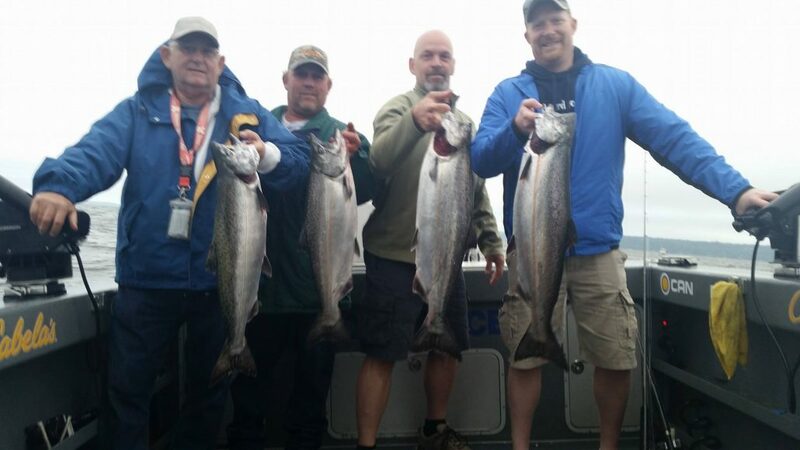 There are lots of good spots for Kings in Area 9 or Area 10 but these are moving fish so Today’s fish does not mean that they will be in the same spot tomorrow. 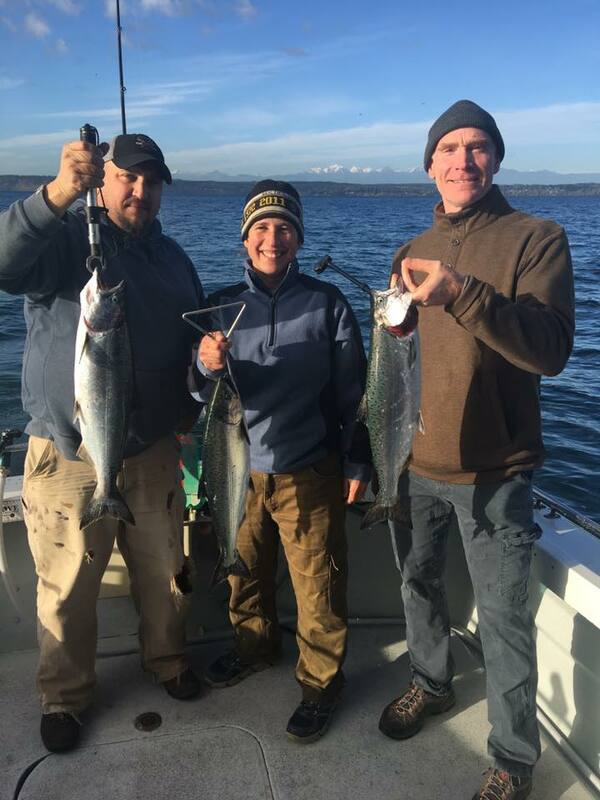 Some good spots in Area 9 are, Mid Channel Bank, Point No Point, and Possession Bar to name a few, in Area 10 there is Kingston, Jefferson Head and Richmond Beach to the North of Seattle and then West Point, Meadow Point and other spots west and south. 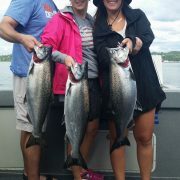 As I said these are traveling fish so they can be found most anywhere on a given day, then be gone the next. 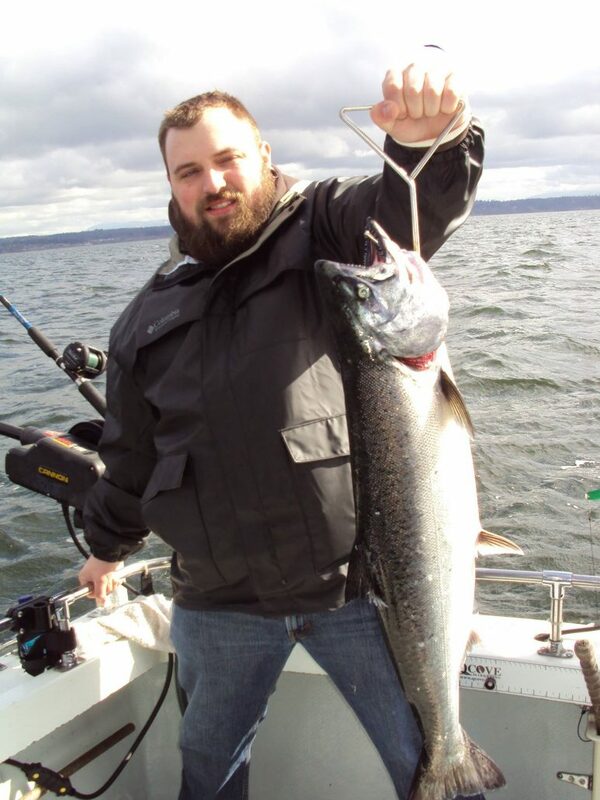 Spoons, Plugs, Flasher and Squids and of course Herring are all used to catch these Kings. 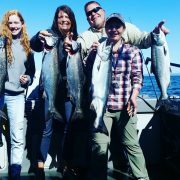 Everyone has their favorite lure or bait and I am no different as the number one thing I like is Plugs when they will catch the Kings. 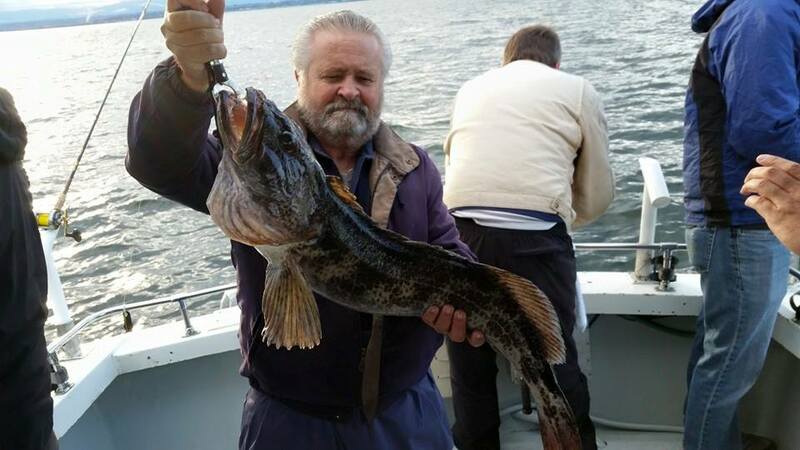 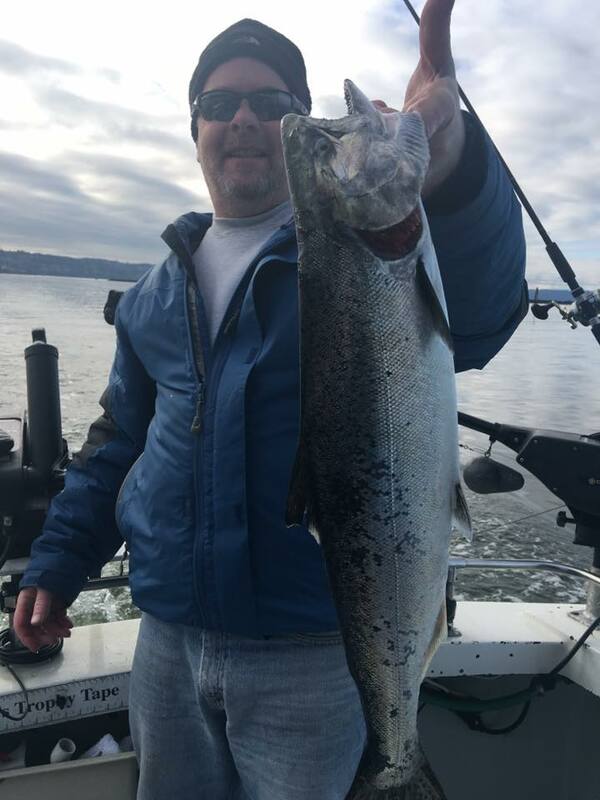 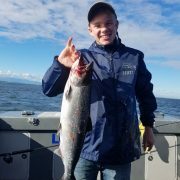 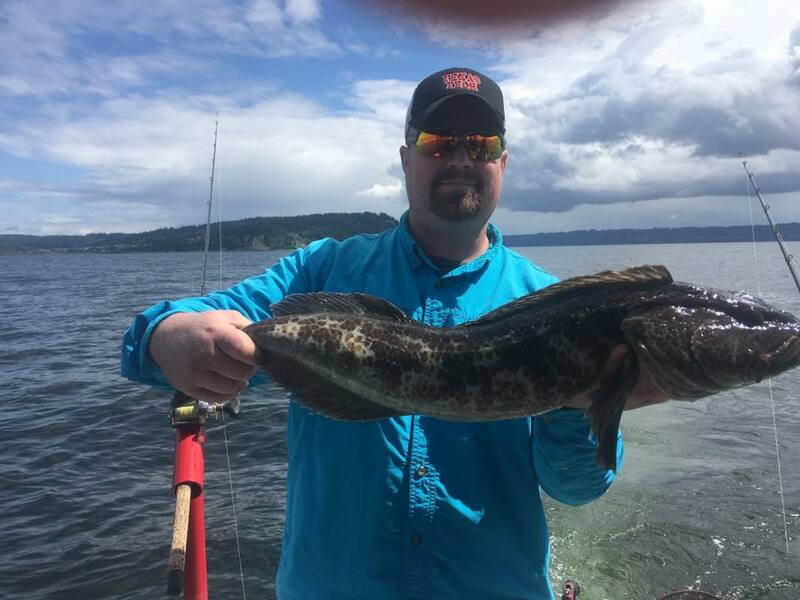 Flasher and Spoons are probably the most productive all around lure in this area as they will catch Kings at most trolling speeds, which allows for lots of boats to be productive. 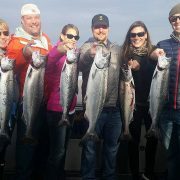 Two types of plugs are available, the sport cut and commercial cut. 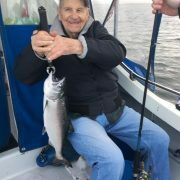 Gold Star makes both types and Tomic makes Commercial cut plugs. 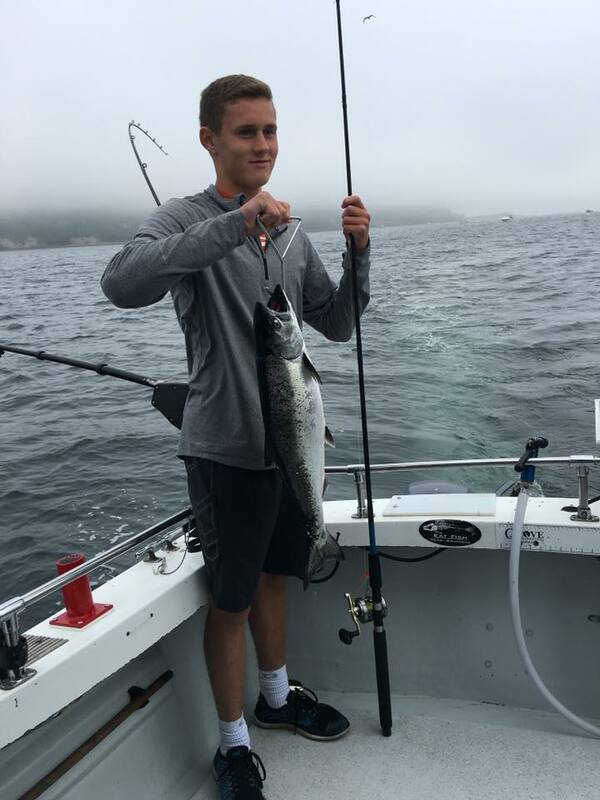 The sport cut are better for trolling at slower speeds. 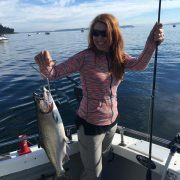 Plugs work best when fished in and around lots of bait fish, such as you see on Possession Bar and Jefferson Head in the summers. 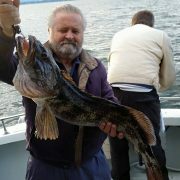 Spoons can be fished by them self or behind a flasher or dodger. 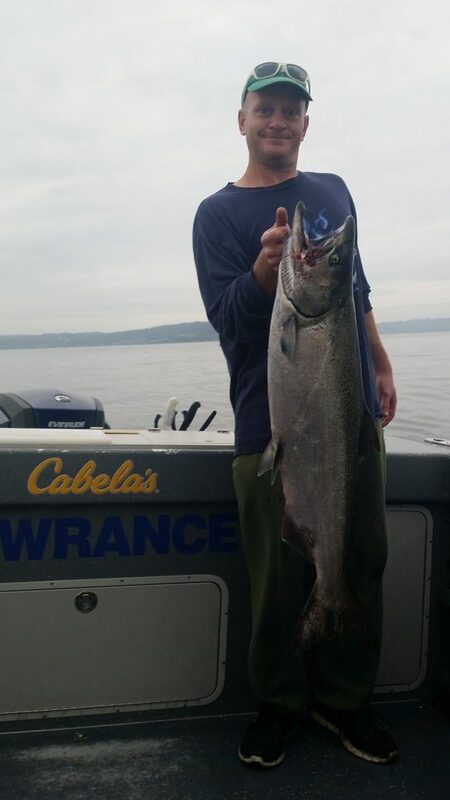 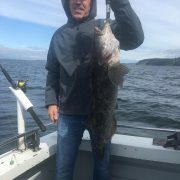 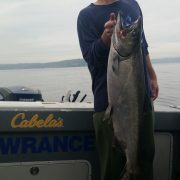 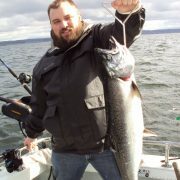 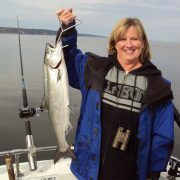 My best luck has been fishing them for king Salmon about 40 inches behind an 11 inch flasher. 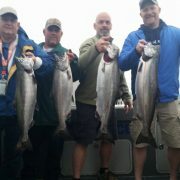 There are several good spoons out there, with Coyote and Gold Star king fishers being my top two producers. 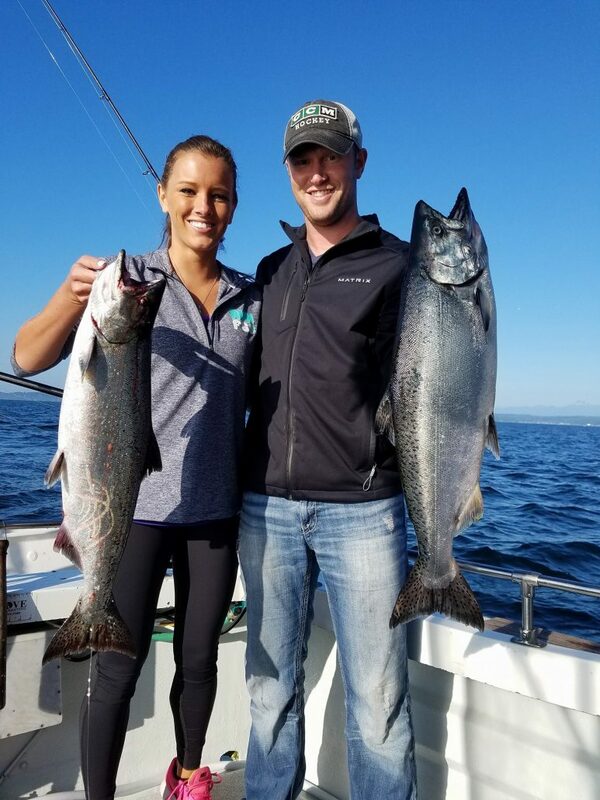 Many colors will work, but some green in them has been best.